The NNPC/NAOC/OANDO Joint Venture in pursuance of its Corporate Social Responsibility invites suitably qualified applicants for its 2017/2018 Post Graduate Scholarship Award Scheme, effective June 5th to July 20th, 2018. Target Group: Best performing graduates in the chosen disciplines below in company’s operational areas in Rivers, Bayelsa, Delta & Imo states. Provisional admission letter for post graduate studies 2018/2019 session into any reputable university. This admission letter must be for the course stated on the candidate’s application. Label the scanned documents accordingly, to avoid mix up during upload. Attach the right documents in the appropriate upload section. 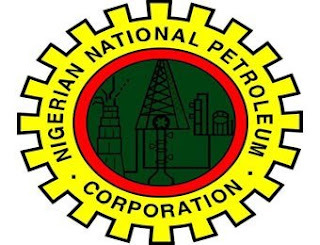 How to Apply for NNPC/NAOC/OANDO JV Postgraduate Scholarship. Click on “Apply Here” tab. Candidates are not required to fill the Secondary Level,Bank details or download the undergraduate profile verification form in the application portal. This application is for post-graduate students. For tertiary scholarship scheme application. SHortlisted canidates will be required to take an aptitude test. Application Closing Date: 20th July, 2018.